As promised, here are some more children's birthday party theme ideas. 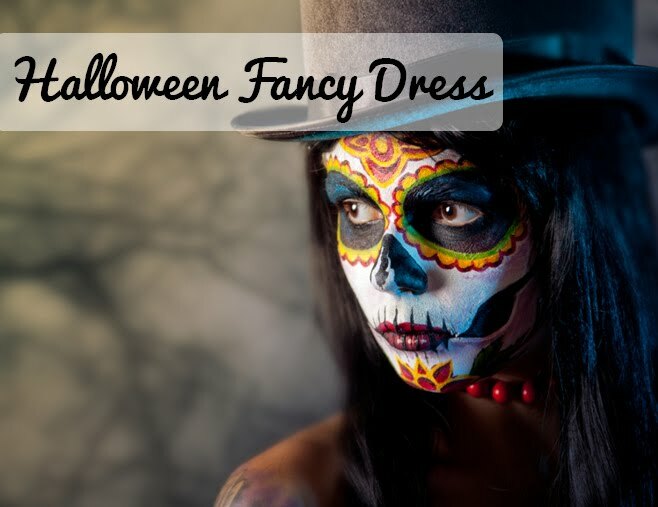 Before we showed you some lovely party ideas that we found on the web and this time we are bringing them to you from our website. Everything is available for you to buy directly from our site and prices on every range starts from just 99p. Today we've picked our top 5 boy's themes. Whether they are just having their 1st birthday or they are now turning 13, we are positive they'll love one of these themes. Ah Hoy there m'heartie! 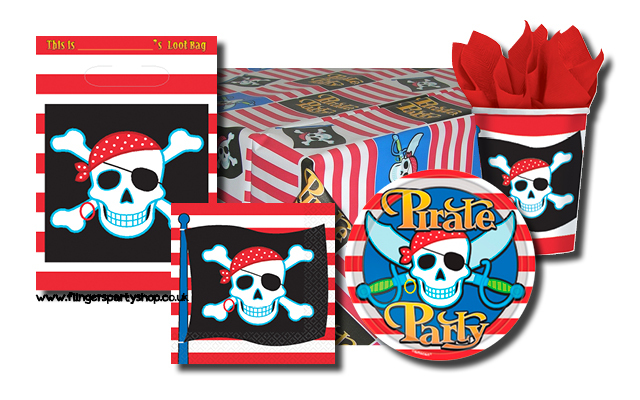 Check our our brilliant Pirate Party tableware. We love the bold red and white stripes along with the happy looking traditional skull and crossbones. With these theme we have so many additional accessories and decorations to choose from, you'll be overwhelmed with choice. Pick up a treasure chest piñata, pirate cake decorations and some skull cupcake wrappers to make sure the party goes with a bang! 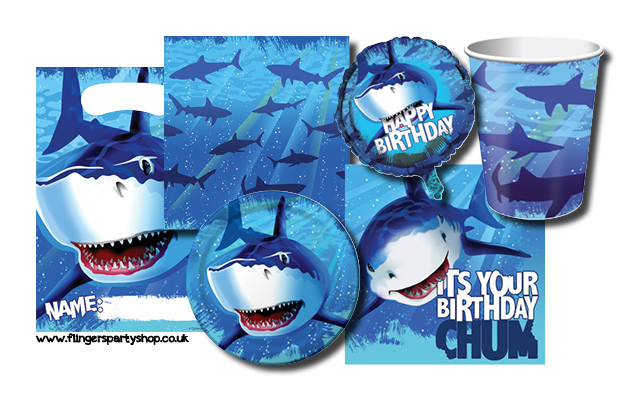 Have a splash at the party with this fun Shark Splash themed tableware. 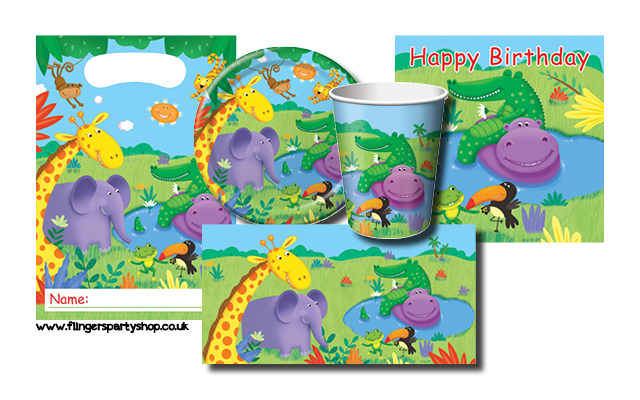 The napkins are printed with a fun 'Its Your Birthday Chum' quote and the children can write their names on the party bags. This theme also has a matching 'Happy Birthday' balloon. View our Shark Themed section to find accessories such as an inflatable shark and decorations like an underwater scene setter - instantly transform the room! 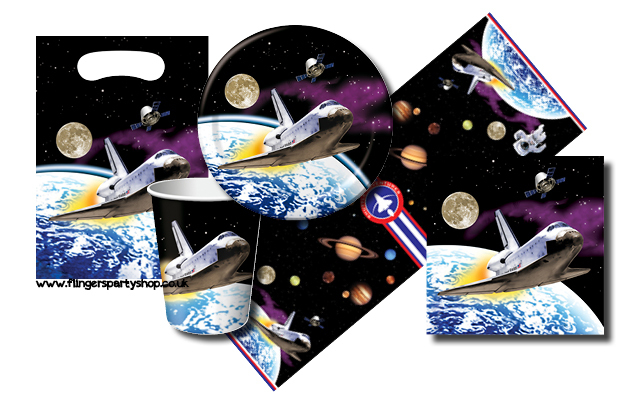 Get blown away with this Space Odyssey theme with cups, plates, napkins, tablecover and party bag all matching. We like the photographic print style and the way the rocket looks like it's shooting off the table! We recommend our space scene setter which will instantly transform the room and if you're feeling extravagant add a space rocket and life size astronaut cutout. The children will actually feel like they're out of this world. 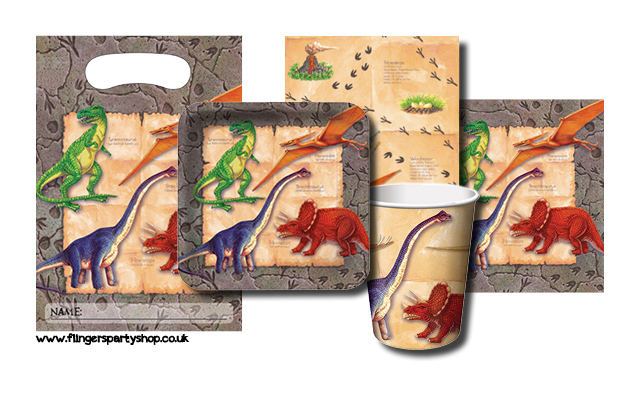 The children can learn and play with this great Diggin for Dinos theme. Each dinosaur is labelled with their name and how to pronounce it and the tablecover is covered with facts about their height, weight, length and whether they're a herbivore or carnivore. Our favourite is the Brachiosaurus (BRACK-ee-uh-SAWR-us)! You'll definitely want the bright red dinosaur piñata to go with the set and there's also some cute little dinosaurs to pop in the party bags. We love this cute and cuddly design Jungle Buddies tableware set. Who could resist those smiles? Suddenly jungle animals aren't so scary! It's a really bright and colourful party set and will really appeal to young boys. The napkins are printed with 'Happy Birthday' and the party bags have space for writing on a child's name. You'll also want to pick up some jungle inspired balloons and jungle cake decorations.